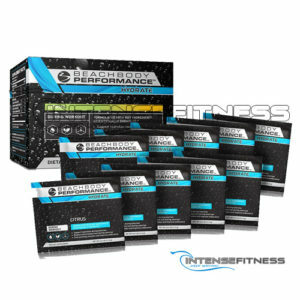 The Beachbody Performance Sampler Kit is the perfect way to try all 5 performance formulas before you buy the full sized tubs. You’ll get one single serve packet of each Beachbody Performance product. What’s holding you back from the results you want? Are you tired and sore? Hitting a wall too soon? Can’t recover fast enough? 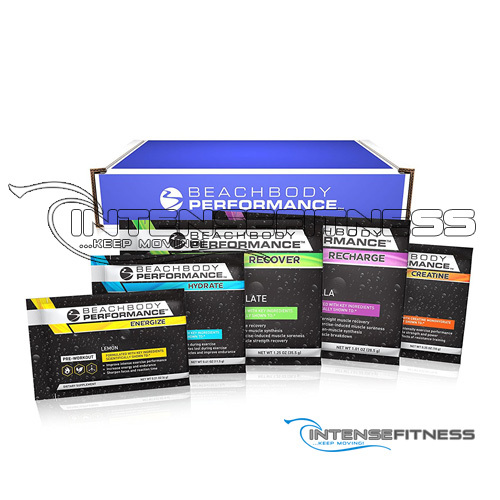 Get ready to perform better, last longer, and recover sooner with Beachbody Performance a balanced supplement system designed to give your body what it needs to break through obstacles and take your fitness to the next level. No more struggling through workouts for average results. Faster recovery helps you get faster results! Get the proper protein and nutrients to help speed muscle recovery and reduce exercise-induced muscle soreness so you can hit tomorrow’s workout just as hard. Same great benefits as our original Chocolate flavor, but also available in refreshing Orange. Support muscle recovery while you sleep. Now you can help boost your body’s ability to fight off delayed onset muscle soreness (DOMS) while promoting lean-muscle growth. Leading the development of Beachbody Performance is Nima Alamdari, PhD, a Harvard-trained exercise physiology/nutrition scientist and Beachbody’s Director of Scientific Affairs. The team’s work was rigorously reviewed by key members of Beachbody’s Scientific Advisory Board, including Dr. Marcus Elliott, MD, a Harvard-trained physician and founder of the world’s leading athlete performance training center Peak Performance Project (P3), and Dr. Francis Stephens, PhD, a world-leader in exercise physiology and performance nutrition research.